Hausmusik is a collection of American and European music chamber music for the living room. Not that you couldn’t drive to it, play it in the garden, or put it in your iPod, just that it was originally designed for the parlor. 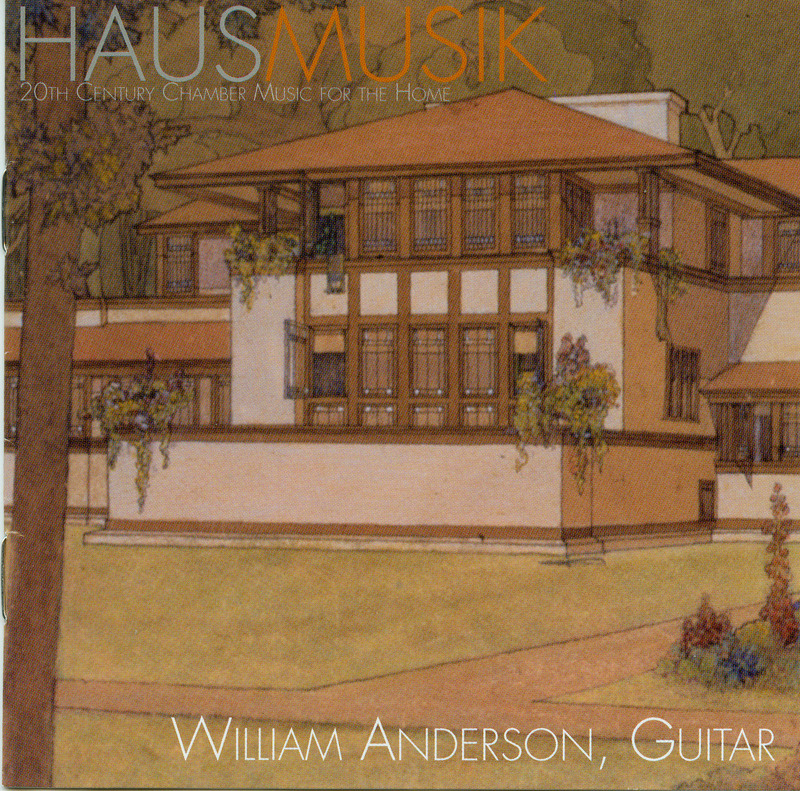 Hausmusik features classical guitarist William Anderson with his colleagues from the Cygnus Ensemble in stunning performances of 20th c. solo and chamber music. The disc opens with a splashy, irresistable rendition of Hindemith's Rondo for Three Guitars (1925). The European works are mirrored by American ones which relate to the home (and architecture) in obvious or surprising ways --Robert Martin's exquisite little piece called Henry's Lullaby was written for Anderson's son Henry. Jon Dawe's Under the Tafelmusik takes the Hausmusik theme into surreal world that time-trips from the 17th century Baroque period to Y2K post-serialism. It is a crazy piece with great rhythmic drive.